To be fair, it's not exactly convenient. If you've ever been to London, New York or Paris and used the city trains and underground, you'll know they work so well. You can get anywhere in those cities with a few quick line changes and some patience. 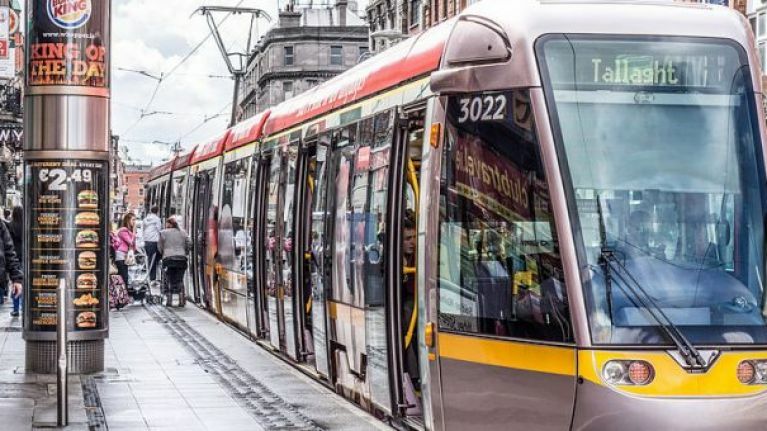 Dublin on the other hand is a little bit more difficult to navigate if you want to quickly hop train/Luas lines. 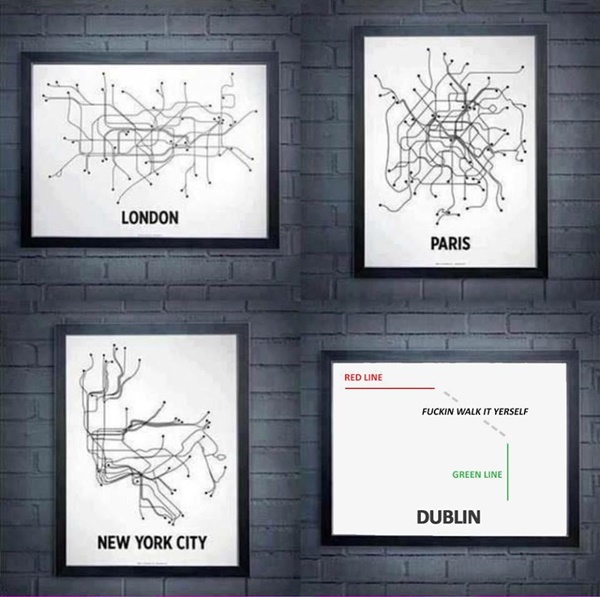 This graphic sums up the difference between Dublin and the other cities. We realise that London, Paris and New York are much bigger than the Irish capital, but it's still pretty funny.